Once a relatively unknown illness, Zika virus has recently launched itself onto the global stage after large-scale outbreaks spread throughout the Americas in 2015. Although this virus presents symptoms similar to other febrile (fever-displaying) viruses, it carries a more insidious threat: Zika can cause congenital defects and neurological damage in infants if contracted by pregnant mothers. The devastating effects of this disease have spurred scientists to develop reliable screening methods to detect early infection. Current techniques rely heavily on antibody detection and RT-PCR (reverse transcriptase-polymerase chain reaction) amplification of viral RNA. However, antibody-based methods often display false positives when exposed to other viral strains and individual tests are costly. 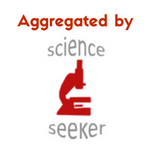 PCR-based diagnostics are more accurate but are slow and labor-intensive. The authors of this paper sought to develop a third technique that could provide a fast, sensitive, and easily accessible diagnosis to patients in need. To produce the ideal diagnostic tool, the researchers turned to ECL, or electro-chemiluminescence. This phenomenon is seen when certain compounds are exposed to an electrical current, leading to the generation of chemical intermediates that can produce a bright light. One can think of this as a chemical light switch — when current is applied, the compounds “turn on” in solution. In this paper, the authors used an established ECL compound, dendritic Ru(bpy)3 2+-polymer (DRP), which is linked to a single-stranded piece of RNA. The compound does not produce ECL unless a complementary (perfectly matched) piece of RNA binds DRP and an electrical current is passed through the final solution. The researchers isolated Zika virus RNA from human body fluid samples (blood, urine, saliva) and then enriched the RNA by “fishing” it out with magnetic beads that were attached to a short, complementary RNA sequence (which acts as the fishing hook). The beads were then incubated with DRP, allowing the complementary RNA strands on each component to anneal together. Finally, the beads were transferred to an electrode, exposing the samples to an electric current. Once bound to the correct sequence of Zika virus RNA, the DRP sensor will emit light through the ECL phenomenon (Figure 1). The researchers tested their system against human samples containing a number of different flaviviruses (viruses in the same family as Zika) that had highly similar RNA sequences. 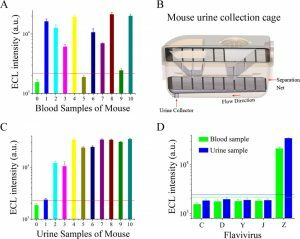 They found that the DRP-ECL sensor could selectively detect Zika in spiked human samples and in samples from infected mice (Figure 2). Unfortunately, blood samples from infected humans were difficult to obtain in China since this virus is not commonly found in the area (although perhaps this is actually quite lucky!). 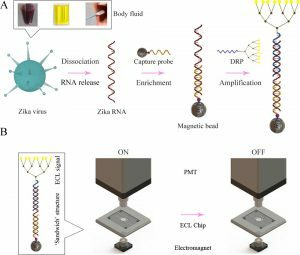 After thorough testing of their DRP-ECL sensor, the researchers found that it was able to effectively detect as low as 500 copies of Zika RNA per sample. They ran a quick comparison with other existing diagnostic technologies and found that DRP-ECL sensitivity was on-par with current PCR technologies but required half the processing time (Figure 3). As an added bonus, this method is also relatively cheap — only 25 yuan ($3.64) per run. Imagine receiving a life-saving diagnosis for less than the cost of your daily cup of coffee! 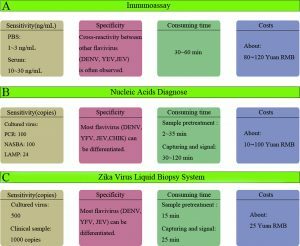 The authors of this paper have developed a quick, affordable, and sensitive technology for accurate diagnosis of Zika virus infection. 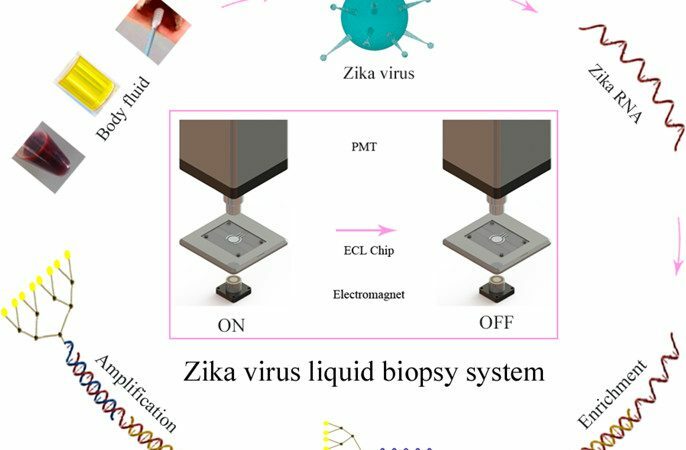 Their clever use of ECL compounds to detect Zika-specific RNA sequences is easily accessible and incredibly effective. We can only hope that the DRP-ECL sensor eventually makes its way onto the market to help combat Zika virus on a worldwide stage!